We are specifying here plot symbol types (Dots, Steps), their sizes and colors. The first argument is then name of the data series. This name has two purposes – 1. It is used in the legend to identify data points and 2. It is used as an identifier when appending new data. We can also specify logarithmic axis by using _yScaleType='log' as in the example above. 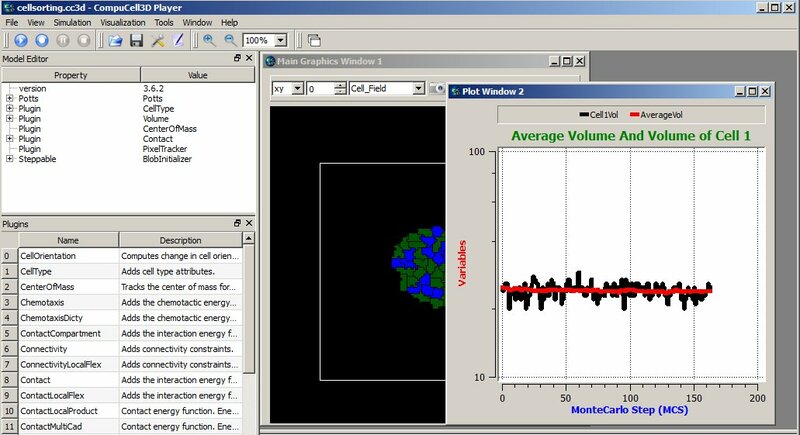 Figure 13 Displaying plot window in the CC3D Player with 2 time-series data. Notice that the code is fairly simple and, for the most parts, self-explanatory. However, the plots are not particularly pretty and they all have same style. This is because this simple code creates plots based on same template. The plots are usable but if you need high quality plots you should save your data in the text data-file and use stand-alone plotting programs. Plots provided in CC3D are used mainly as a convenience feature and used to monitor current state of the simulation. fileName = "HistPlots_" + str(mcs) + ".png"
fileName = "HistPlots_" + str(mcs) + ".txt"
In the start function we call self.addNewPlotWindow to add new plot window -self.pW- to the Player. Subsequently we specify display properties of different data series (histograms). Notice that we can specify opacity using _alpha parameter. that takes an array of values and the number of bins and adds histogram to the plot window. The return values are two numpy arrays: n which specifies center of the bin (we plot it on x axis) and bins which determines stores counts for a given bin. When we look at the code in the start function we will see that this data series will be displayed using green bars. two last arguments of this function represent x and y sizes of the image. This file will be written in the simulation output directory. You can use it later to post process plot data using external plotting software.